Its very natural that when you are designing your product, you feel like a user of your product. You are the first one who will approve or reject your own designs. It is not possible that you sit with your user all the time, design screens and get his approval on each draft you create. What Is A Date Picker Control? A user interacts with different UI controls while working on a software. 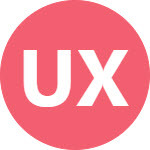 Providing the right control at right place is a challenge for UX designers. A very common error that you come across while working on internet is ‘404 error’ or ‘Page not found’ error. This appears when you enter a web address that does not exist. The message that appears on this error page should be designed in a way that does not give user a negative impact. Along with giving a reason of the error, this page should re-direct user to an actual page of the site. You are designing for your customers. You get their requirements and work hard to meet them. Sometimes your customer becomes very happy to see the outcome. And at times, he does not satisfy with your efforts and you must go to extra miles to achieve the desired results. The user interface is intended to present everything which is easy to understand for user. Whether it is an image or a label or a text message, a user that comes to use your design should easily understand its meaning and be able to perform the desired action without any confusion.